A Harry Potter cauldron mug, exfoliating pads, a five-pack of succulents, and so much more. 1. A haunted skull cakelet pan so you can whip up ghoulish treats next time you have guests over. Each cast aluminum cakelet pan can make six skulls at a time. 2. An ultimate dome-shaped blending brush just waiting to become the magic wand of your cosmetic bag. 3. A elderflower-based eye cooling gel that'll refresh your eye contour. RIP, pesky puffy eyes. It's 100% vegan, and fragrance-free. 4. A ceramic Harry Potter cauldron mug with a spoon and lid to keep your drinks warm and ~wizardly~. 5. A precious lil' bronze turt to hang up in your bathroom or coastal-themed home. 6. A wooden organizer and chalkboard sure to get your life a little bit more together. 7. A portable electric heating lunch box perfect for students or anyone who lives a lifestyle of laziness (sometimes the microwave is just is too far). 8. A lantern-style bluetooth speaker with a convenient handle that's worthy of your next dance party. 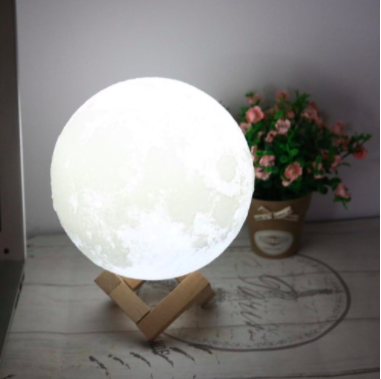 This iLive speaker has an FM radio with station memory and a light you can dim. 9. A Free People maxi dress with an all over print you'll love to show off. 10. A ginger-infused honey ready to satisfy any and all ginger fiends and honey connoisseurs. 11. A five-pack of succulent plants I would honestly marry, they're just too precious. 12. A strawberry sofa so adorable and cozy, you'll wish they made one for adults. 13. A double-breasted wool peacoat that'll keep you warm, snug, and fabulous. 14. A jellyfish suction cup toy your little one will ~alwaves~ want to play with at bath time. 15. A 60-count of peel pads for quick and easy skin exfoliation. 16. A cookbook full of quick, hearty, plant-based meals to get your cooking skills *bake in the saddle*. 17. A doggo costume that'll transform your lovable pup into a lovable (yet terrifying) fuzzy spider. 18. And a large (but less threatening) squeaky hedgehog toy your pupper will love to squeeze. 19. A bottle of pre-shaving oil you'll love to lather on your beard for a close and comfortable shave. 20. A shower curtain that's light on the eyes and your wallet, so you won't have to spend more than $20 on the essentials. 21. A colorful 12-piece dinner set you'll want to use to enliven every meal. 22. A reversible, ultra-plush sherpa throw that just may have you confined to the couch in coziness forever. 23. A four-pack of ice cube balls for your next mojito-making session – you can infuse your ice with mint, fruit, basil, and more. 24. A pumpkin carving kit that'll give you and your family ~the guts~ you need to get outside for carving time. 25. 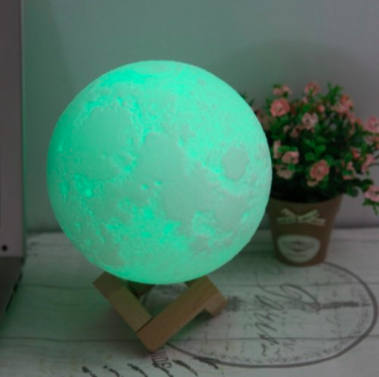 A color-changing 3D moon lamp so you can fill any room with a serene glow. 26. A portable clothing steamer for anyone who equally hates wrinkled clothes and ironing. 27. And a pair of earrings featuring ghosties that just may be the cutest you'll ever see.